Early 2000s,businessmen, in an airport, and a terrible fact: They all wear a parka on their costume. A too short a parka! To remedy this fashion faux-pas, Xavier Aujard draws an overcoat with graphic lines, although long and enveloping, especially weatherproof. And endows 5 practical pockets. The parka new generation is born. Initially very androgynous, the product has evolved into more of femininity and sensuality while remaining functional and mobile. 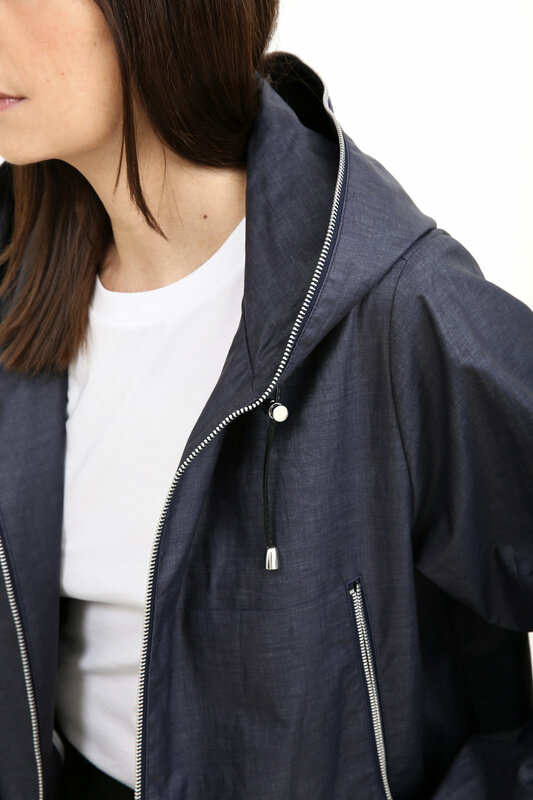 The choice of techniques and water-repellent materials, such as linen or neoprene coated, diverted from their usual practice, sign an urban collection, sophisticated twist. Xavier Aujard created the concept PRET POUR PARTIR. Then launched the brand in 2008. He is the artistic director and manager of this company.